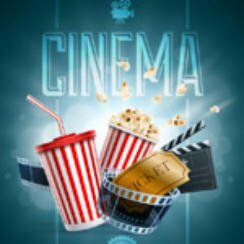 Popcorn Cinema Show takes a look at the movie releases for 27th May 2016 in the UK, US, Australia and New Zealand at the cinema, plus all the weeks film news. This weeks big release sees Alice Through The Looking Glass release in the UK, US, AU & NZ. It has been announced the actor Burt Kwouk passed away aged 85 on 24th May 2016. Probably best known for his role in the Pink Panther films alongside Peter Sellars, Kwouk played Inspector Clouseau’s servant Kato. With the world’s first mutant threatening to cause an extinction level event the X-Men must unite to defeat the threat. So there are the weeks new releases with Alice Through The looking Glass set to receive all the attention.